A little bit of high altitude, alpine forests in SoCal. Mount Pinos campgrounds are the ones on the way up to Mt Pinos 8831′, on the paved route to the top parking lot, Mount Pinos Road. 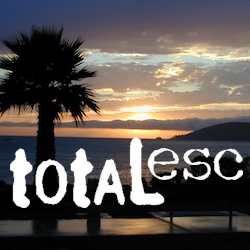 Only 2 campgrounds take reservations & can be busy in summer months. 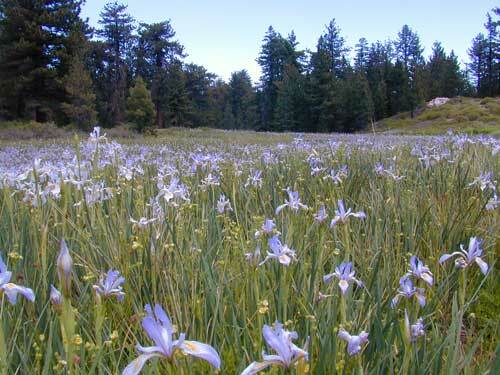 Chula Vista Camp (at the top parking lot) has an amazing wildflower meadow w/ group camp area. Drum circles are common on summer weekends. Mt Pinos parking lot is well known among RVers, astronomers & cross country skiers. If the 2 snow gates are open, you’ll find RVs camping out here until winter officially starts. The peak to peak trail from Mt Pinos to Mt Abel 8243′ starts at this parking area & trail head. Cool ski hut that no Forest Personnel every seems to be operating. Portable toilets available. In the mid-winter, snow is almost guaranteed up here. Families & sledders flock to this region for snow play causing major traffic jams & parking problems. On the busiest of weekends w/ a recent snow storm, you may find several miles of vehicles, backed up from Pinos to the freeway (causing 10 miles of traffic jam in the mountains). It is not uncommon to see CHP managing traffic flow on the weekend. 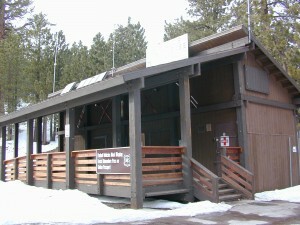 Snow play areas are located at the top on Pinos, if the gates are open. If not the “Y” – where Cuddy Valley meets Mil Potrero Hwy. is the main destination. This is a very busy intersection, as it is the main route entering Pine Mountain Club, located 5 miles to the west. Be considerate! Do not litter and please park OFF THE PAVEMENT; keep kiddies, sleds & BBQs out of the road ways. The pinyon pine forests surrounding Mount Pinos Recreation Area is Los Padres National Forest, where there is every kinda camping imaginable. Outdoor resorts such as Pine Mountain Club & Mil Potrero Campground all the way over to rugged backpacking, or back road motorcycle 4×4 camps – with maybe one camp fire ring (still intact). Windwolves Preserve, Quatal Canyon, Cerro Noroeste, Lockwood & Cuyama Valley.